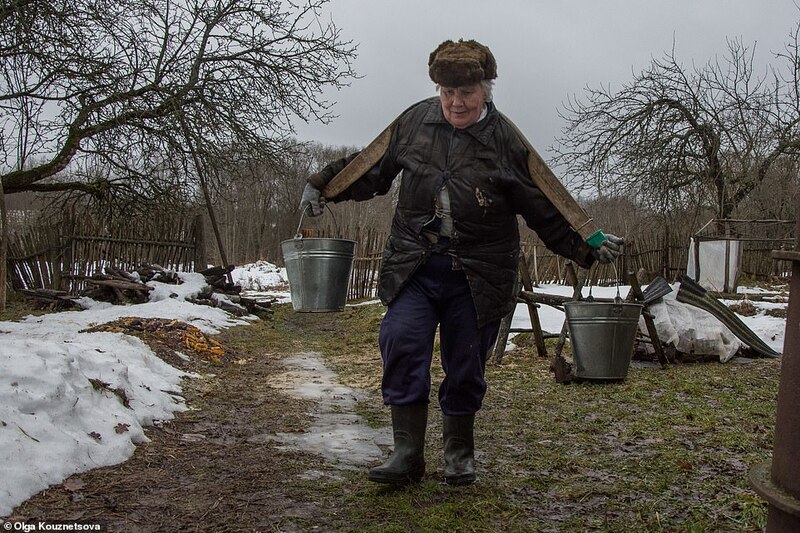 Chopping wood, fetching water, stacking hay, sewing and cooking – Lyudmila Vyacheslavovna has a busy schedule starting at 4am every day. 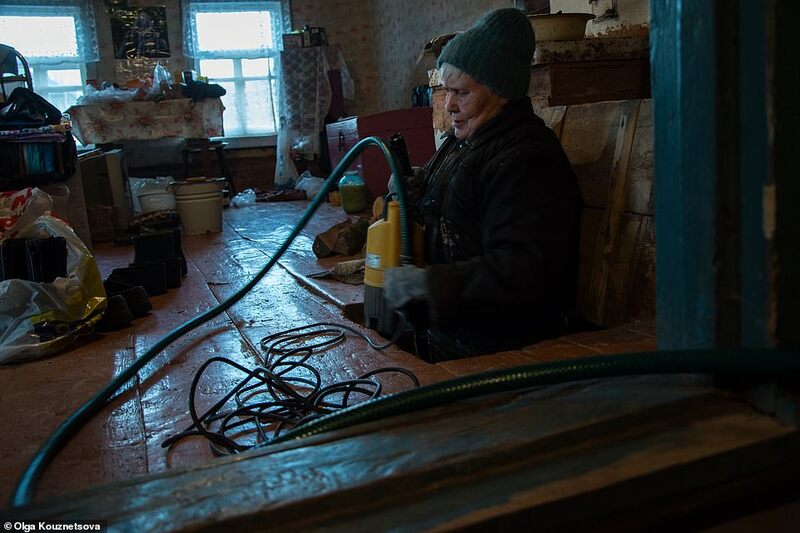 And this Christmas period will be no different, because she is the only resident of a remote Russian village, meaning the 70-year-old has to carry out all these chores by herself, no matter what time of year it is. 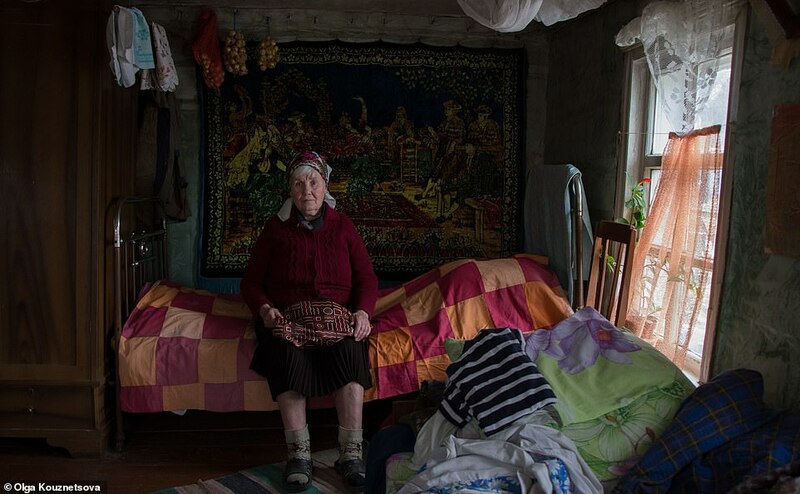 We know about her daily routine not because she has started posting to social media, but because her life has been documented in a fascinating and poignant series of photographs by Olga Kouznetsova, who spent time with her last July, December and January. 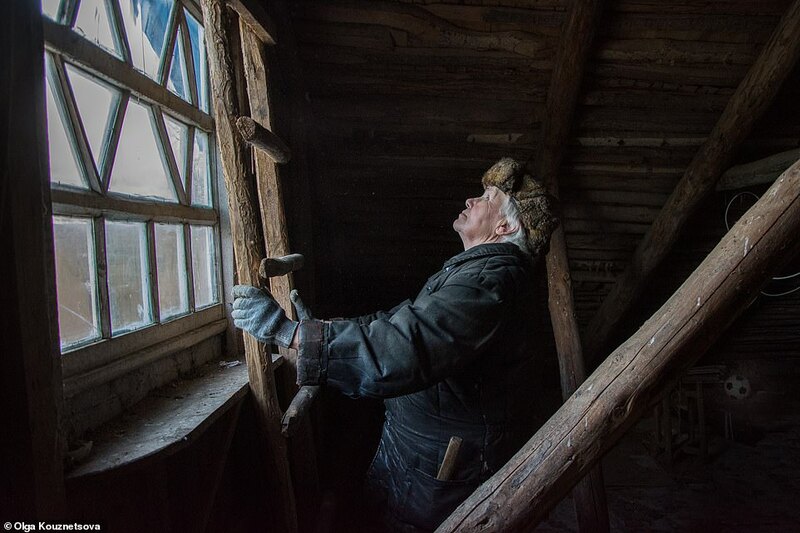 The grandmother lives in the 130-year-old family home in Tolokonnikovo in the Pskov region, close to Russia’s border with Estonia and around 280 miles south of St Petersburg. 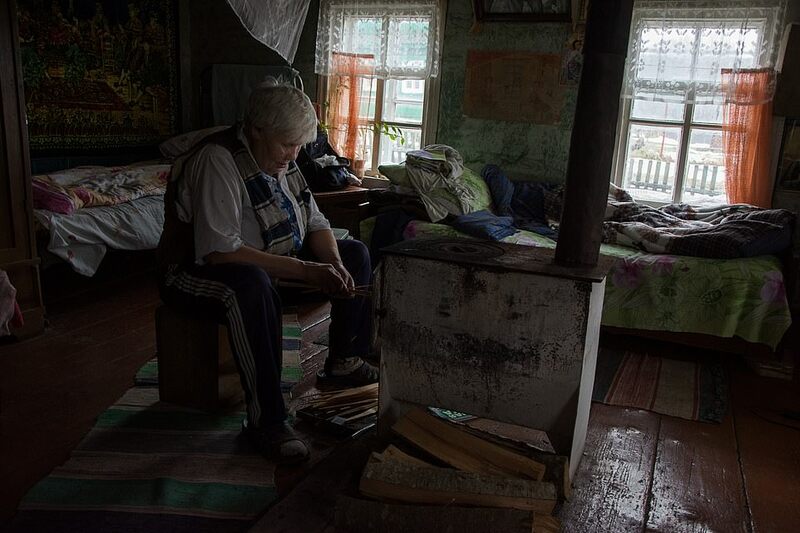 The nearest settlement is three miles away from her home so in the main she has to rely for human interaction on visitors such as her daughter and grandson – though they live 125 miles away in Novgorod and can only reach her via multiple bus journeys – or the delivery drivers who drop off her supplies in the winter. 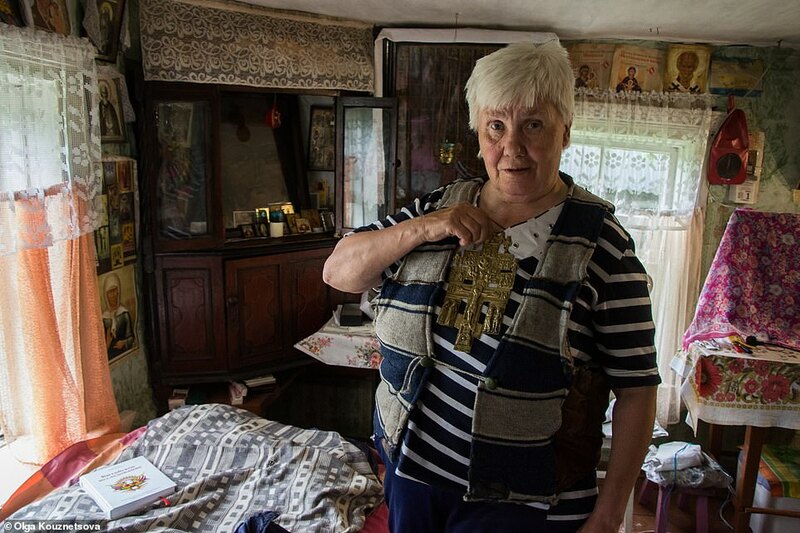 When Olga visited for New Year, which is celebrated before the Russian Orthodox Christmas on January 7, she was surprised to see that life just went on as normal for Lyuska. 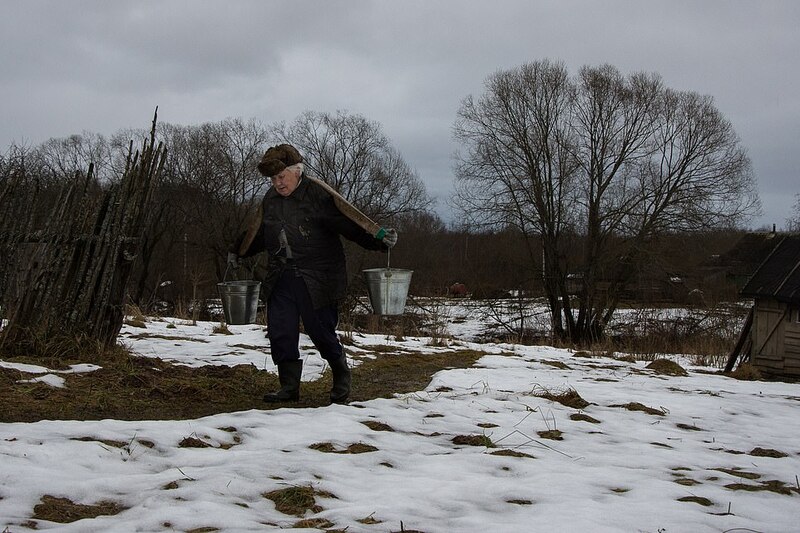 Other than a visit by a delivery driver to drop off some treats – sweets, fruit and wine – she spent New Year and Christmas virtually alone (though her daughter and grandson often come and stay at this time of year), going about her daily chores. 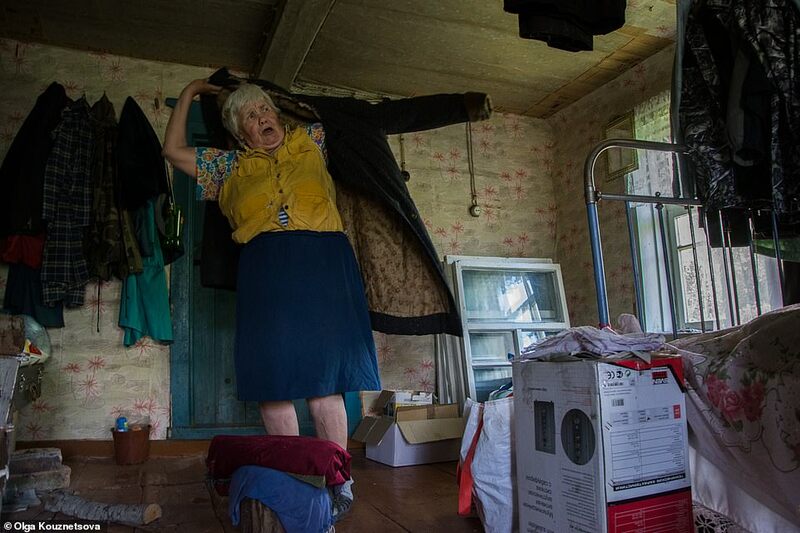 Olga, from St Petersburg, said that despite many Russians putting up decorations for New Year celebrations, Lyuska leaves her house bare. 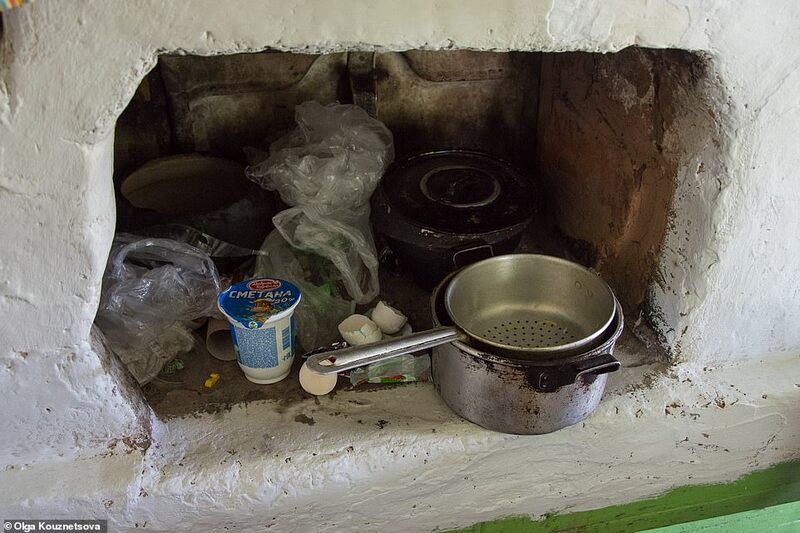 The occasion was merely marked by the grandmother making some extra pies and borscht (a sour soup). 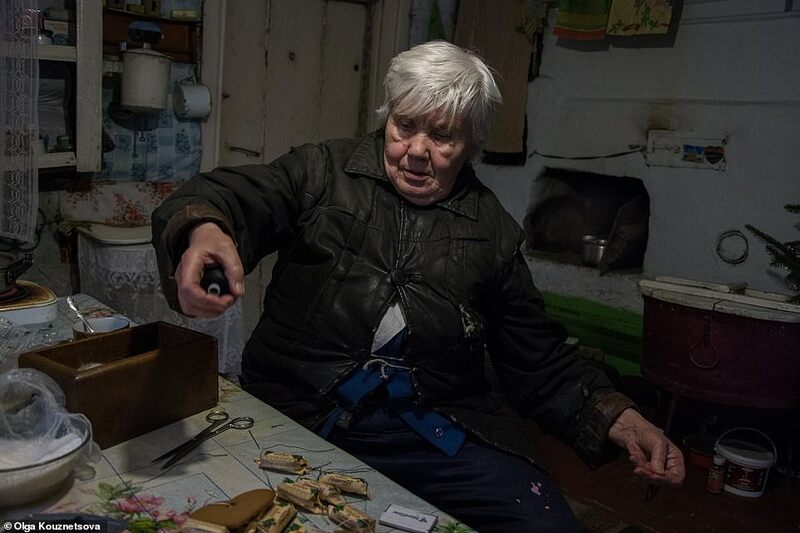 But the photographer was able to capture images of the 70-year-old giving herself a new hair cut and applying some make-up in order to usher in 2018. 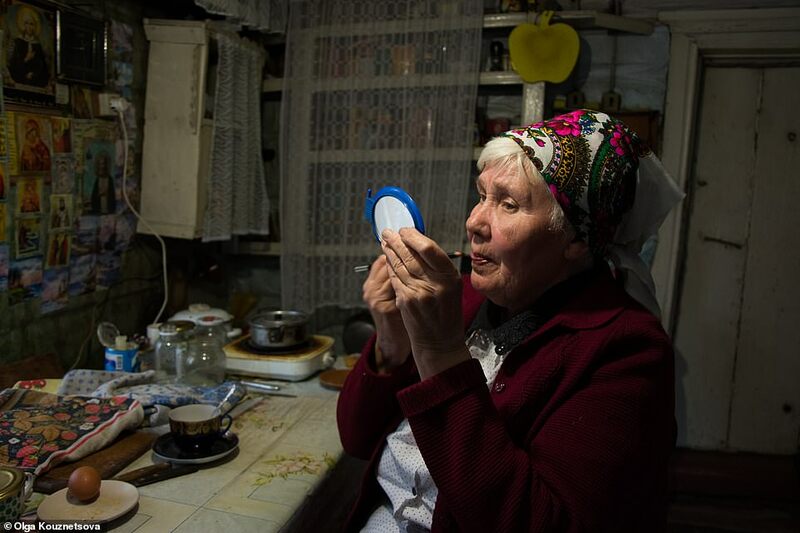 However she only put on eye pencil, because apparently her late mother didn’t like lipstick. 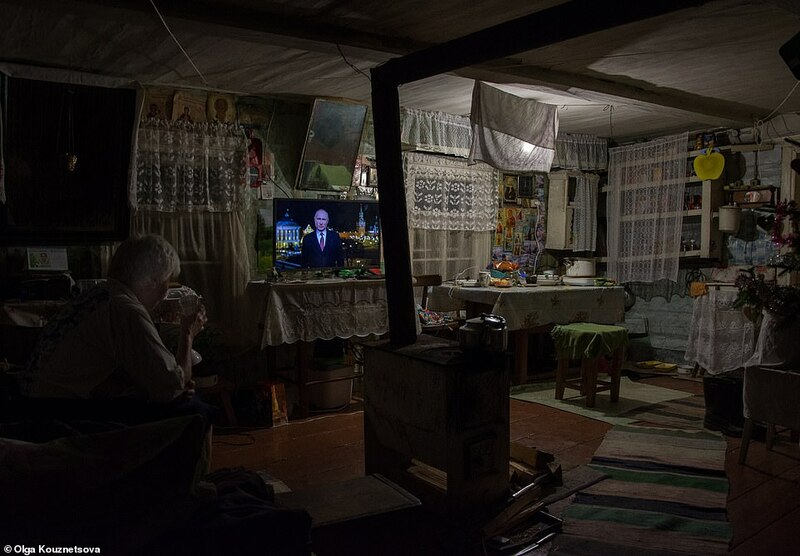 After that she settled down in front of her TV to watch the annual festive message by President Vladimir Putin, followed by a concert, before falling asleep. 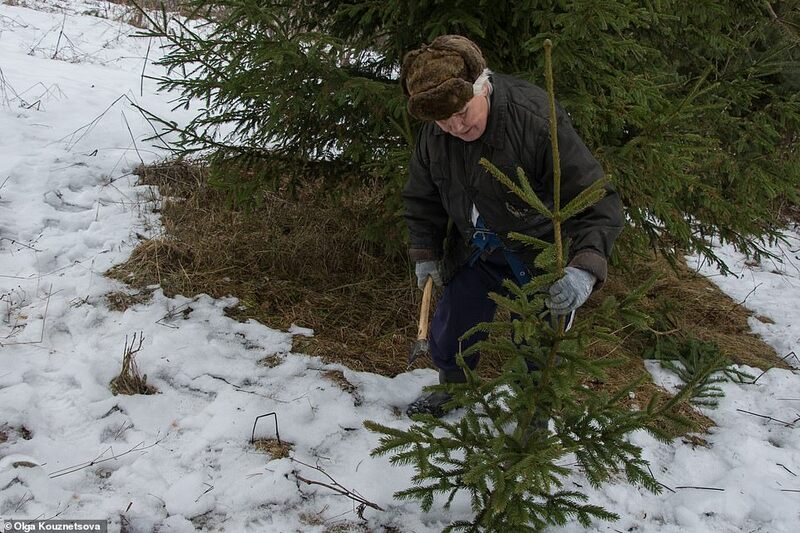 For Russian Orthodox Christmas, a week later, Olga says Lyuska does put up some tinsel and will cut some branches of a fir tree, which she arranges in a large bucket. 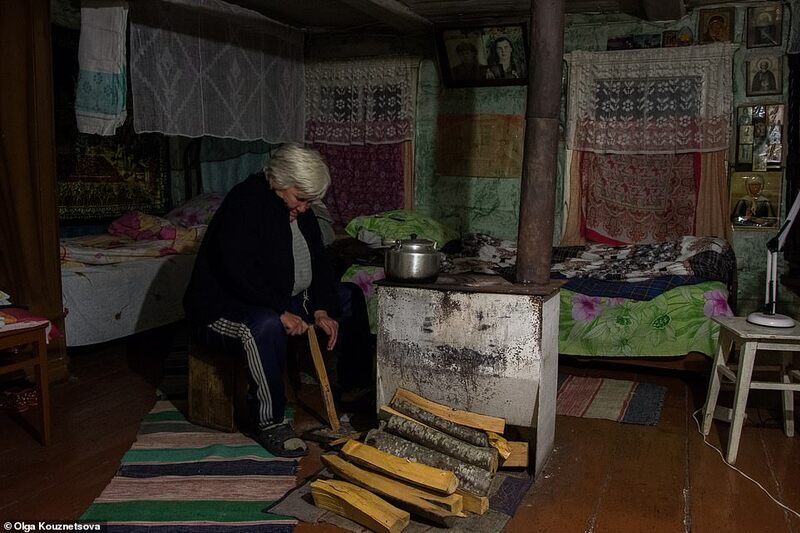 Despite the prohibitions exacted by the previous Soviet powers, Lyuska’s family marked Christmas in the past with the cooking of festive treats and church visits. 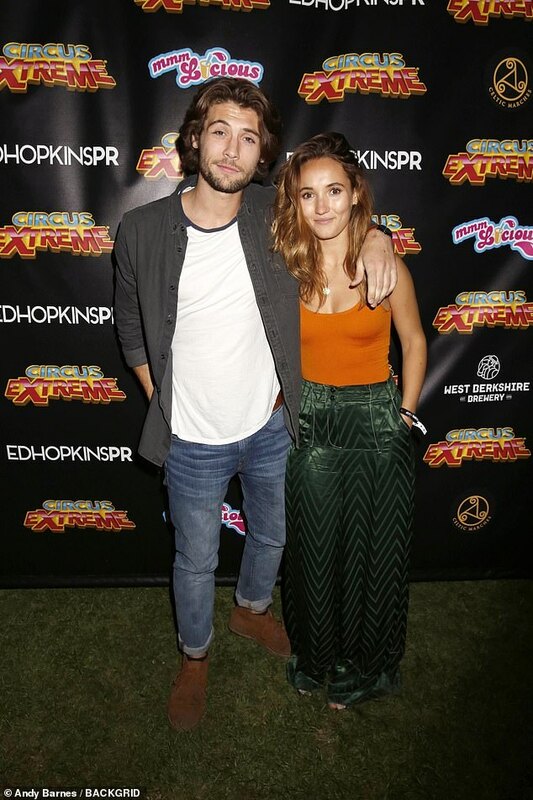 Lyuska still attends church, but not at Christmas. 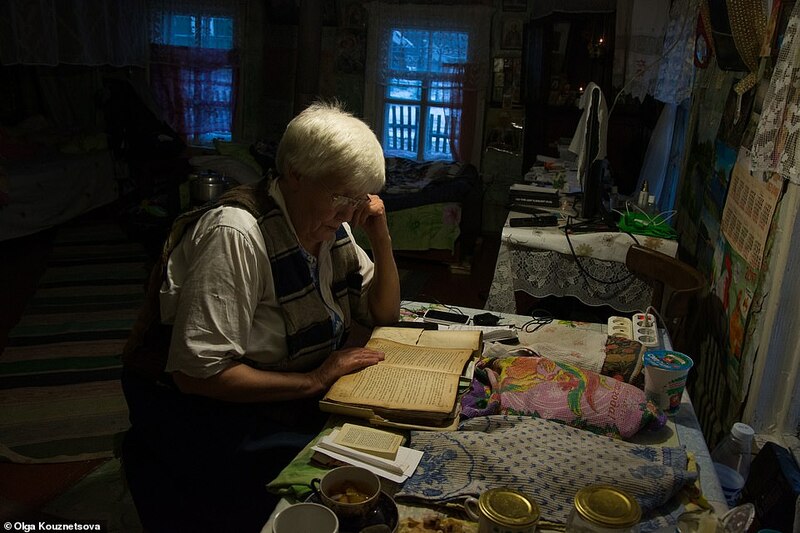 She prefers now to pray at home on Christmas Eve using her mother’s books. 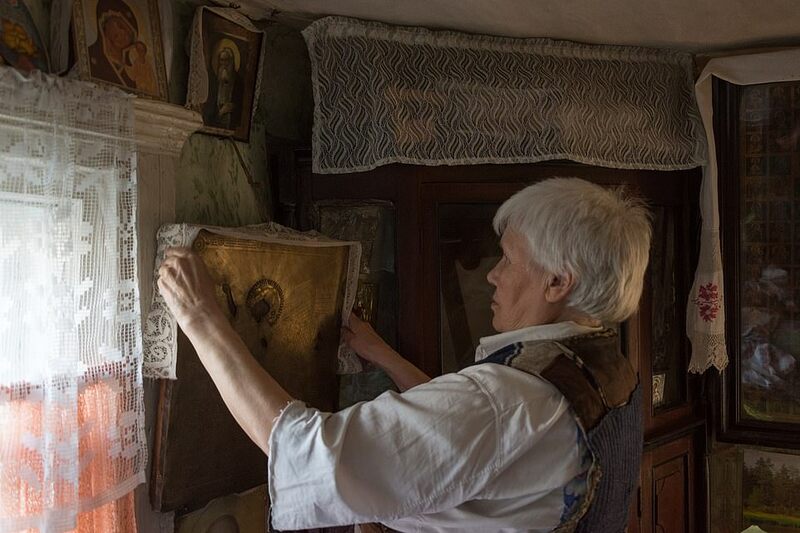 Olga explained that Lyuska’s home is filled with religious icons as the Russian Orthodox Church plays an important role in her life. 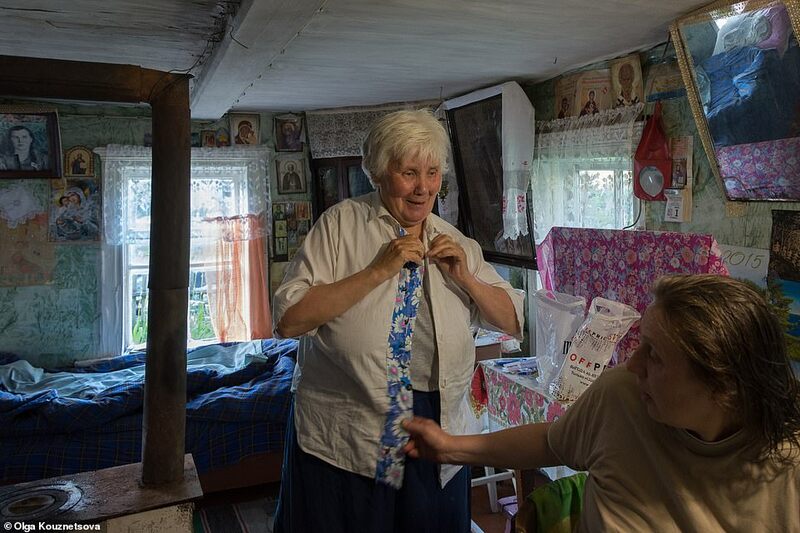 She sings traditional hymns and prays every day. 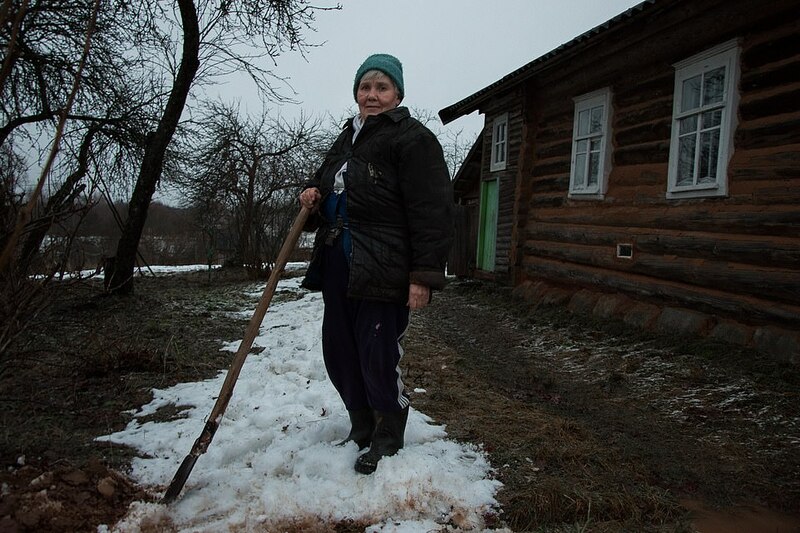 It may seem like a sad and lonely existence – especially over the festive season – but Olga says Lyuska is very defiant about her life. 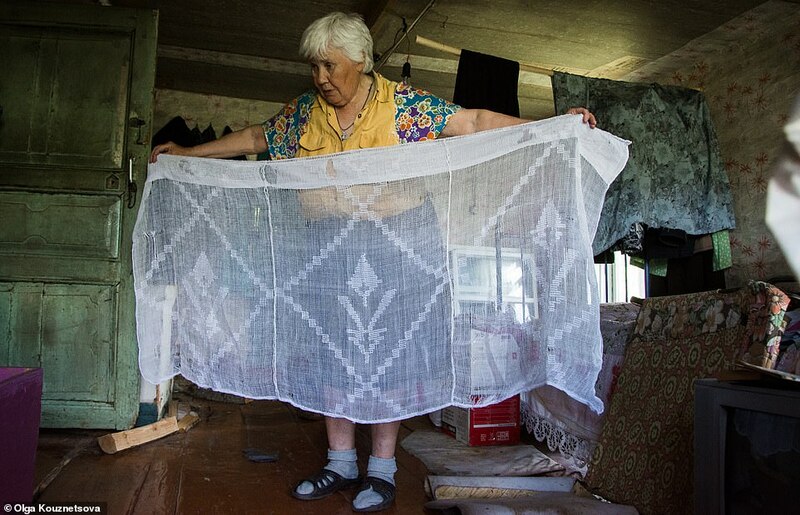 She told MailOnline Travel: ‘Lyuska’s loneliness doesn’t oppress her. She is an independent and determined woman. 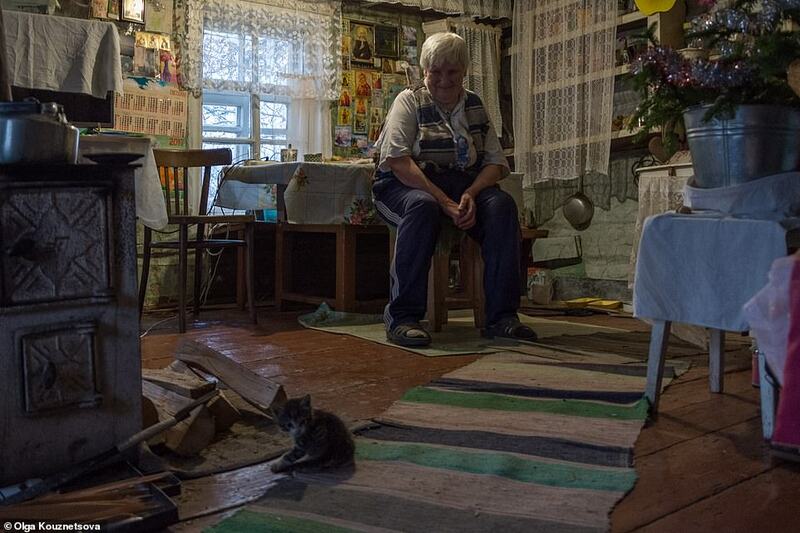 Olga first heard about Lyuska’s incredible lifestyle through an old school friend who told her about ‘the elderly lady who lives alone in a village all year around’. 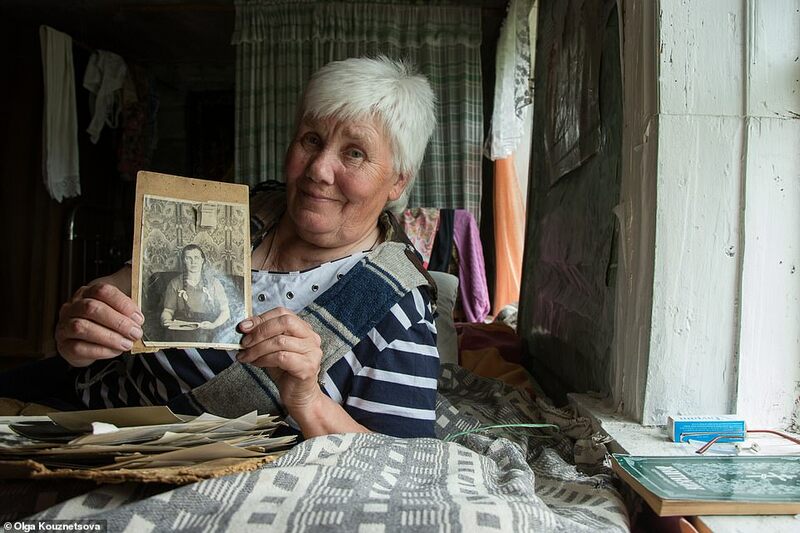 The photographer was so surprised to hear of the grandmother’s unusual existence that she was soon on her way to the Pskov region from St Petersburg to be introduced to her. 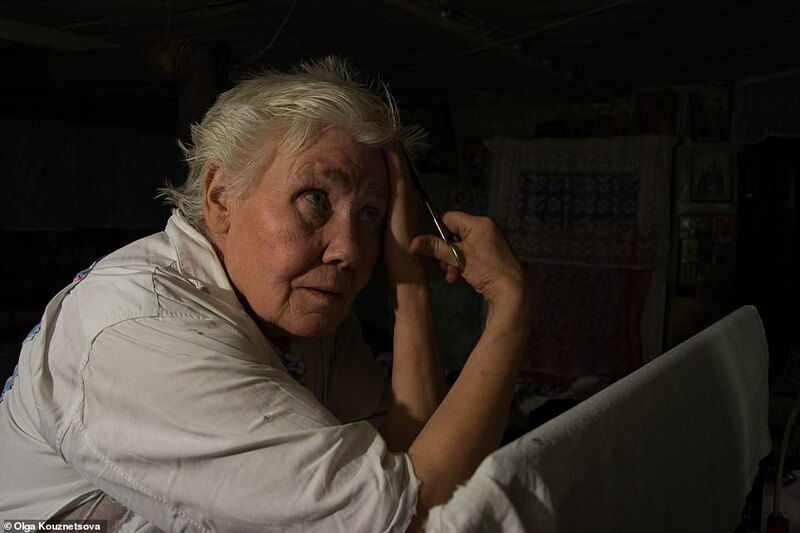 Many of the fascinating photos from her touching series were taken during their first meeting last July. 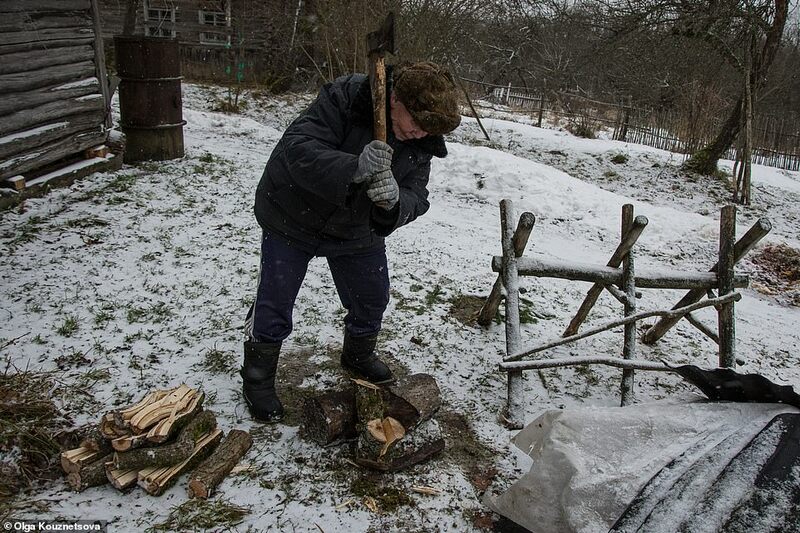 Olga saw how Lyuska’s jobs start before dawn each morning and include gathering wood for her fire, collecting water from a stream (the house has no running water), repairing the eaves of her home and making high quality hay, which she can sell in exchange for goat’s milk. 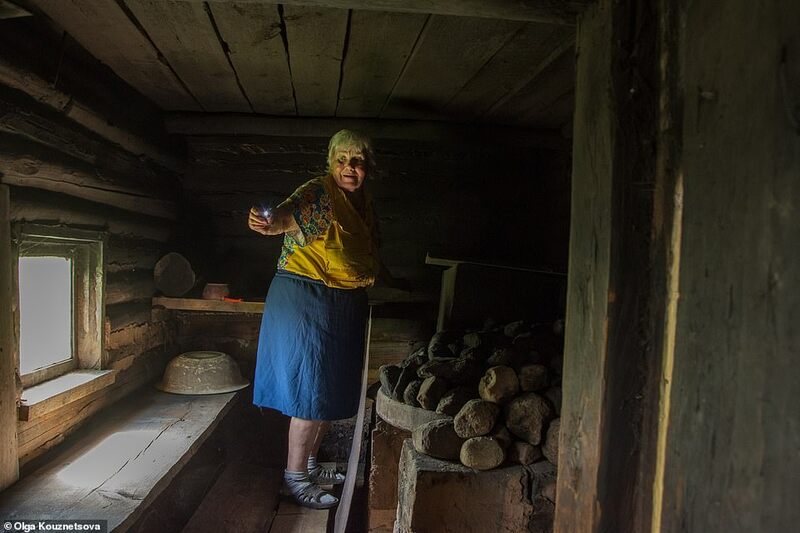 Once the outdoor tasks are complete, Olga says Lyuska moves inside where she fires up her traditional Russian stove. 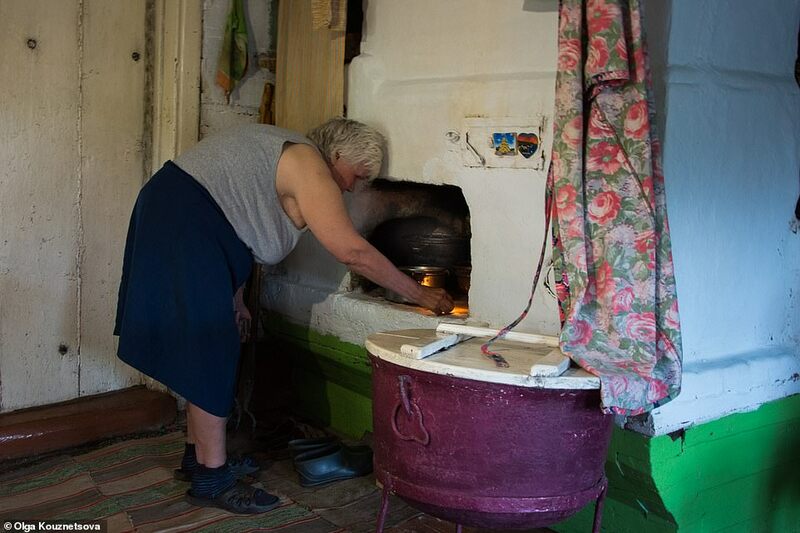 There she can boil water, as she does not own a kettle, and make pies and soup using her mother and grandmother’s family recipes. 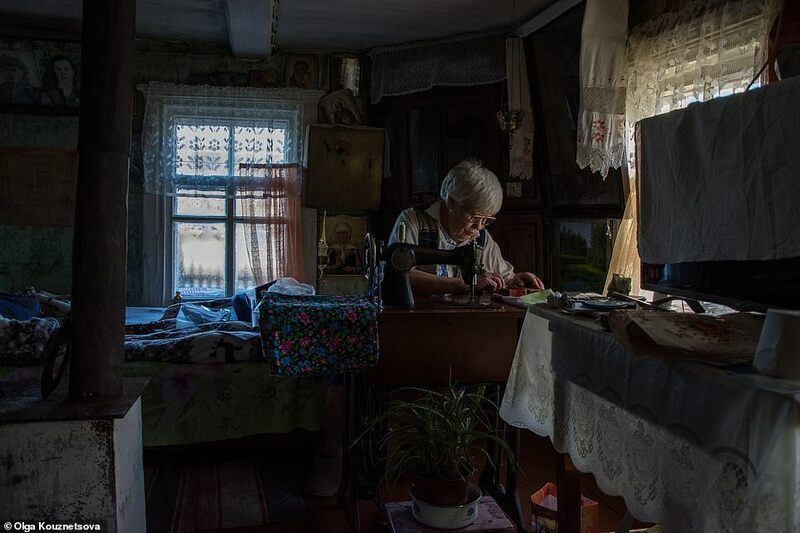 Later in the day, Olga explained how Lyuska likes to sit down at her sewing machine, where she can make her own clothes and furnishings. 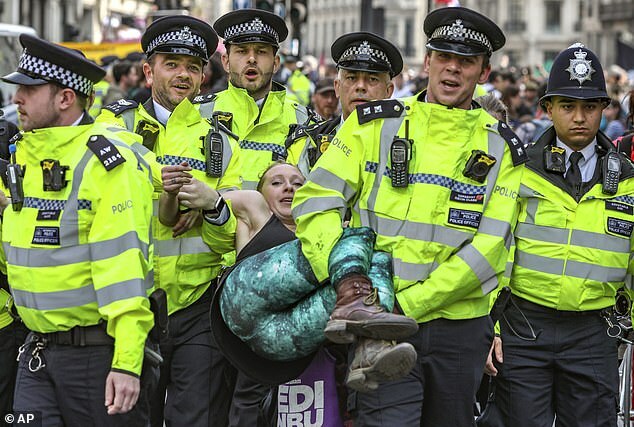 In fact, the photographer said that the grandmother told her one coat she wears belonged to her mother, who made it in 1937. 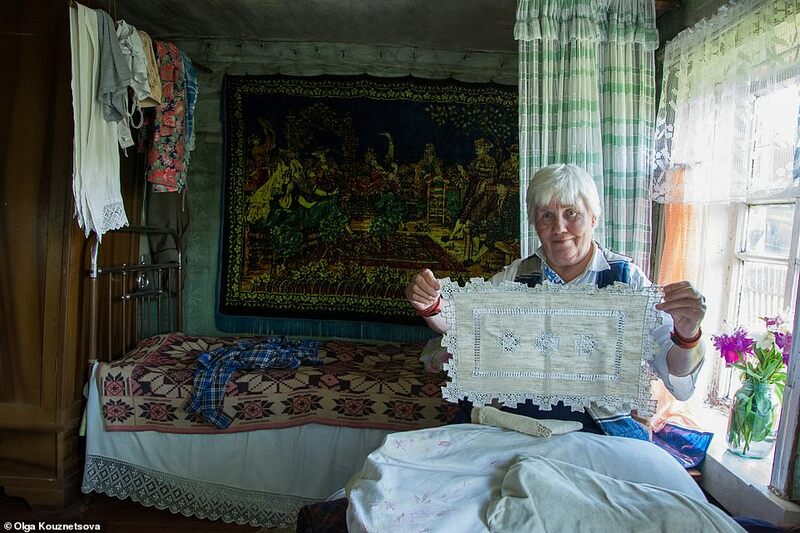 While her other quilted jackets belonged to her aunt, who she claims ended up in prison for giving eggs to the Nazis during the Second World War. 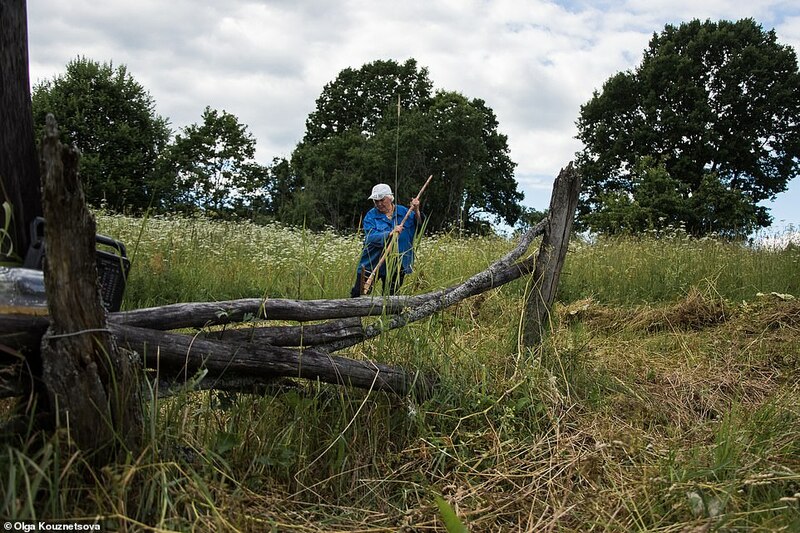 In the summer months, the weather is pleasant enough for Lyuska to be able to walk the three miles to the next village, where she can visit the local store, bank and post office, and chat to the residents there. 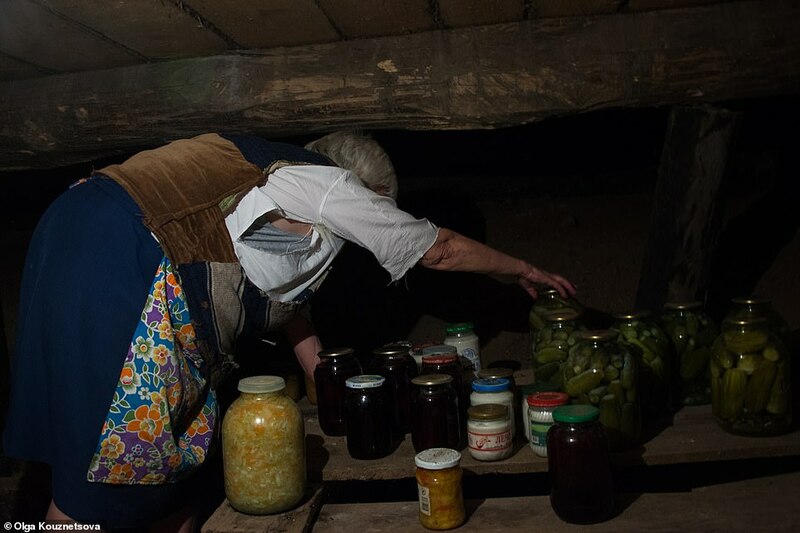 Olga explained: ‘Lyuska does everything the way her mother did. 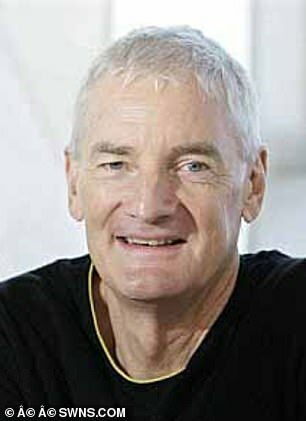 ‘She is a sociable and hospitable person. She always has some treats in case she has guests.